This drone is ready to fly right out of the box and let you master the skies with ease. With the Fader’s in-drone technology, it features an auto-take off and auto-land function so you don’t need to worry about accidental crash landings. FADER is very compact and lightwieght so it’s easy to take with you wherever you go. And with its six-axis gyro module, you can perform any number of amazing tricks like a true pro. Adjust the level of the controller sensitivity to easily master the basics of flying. Thanks to all these features, FADER is the perfect beginner drone that allows you to learn how to fly a drone easily with unparalleled control. 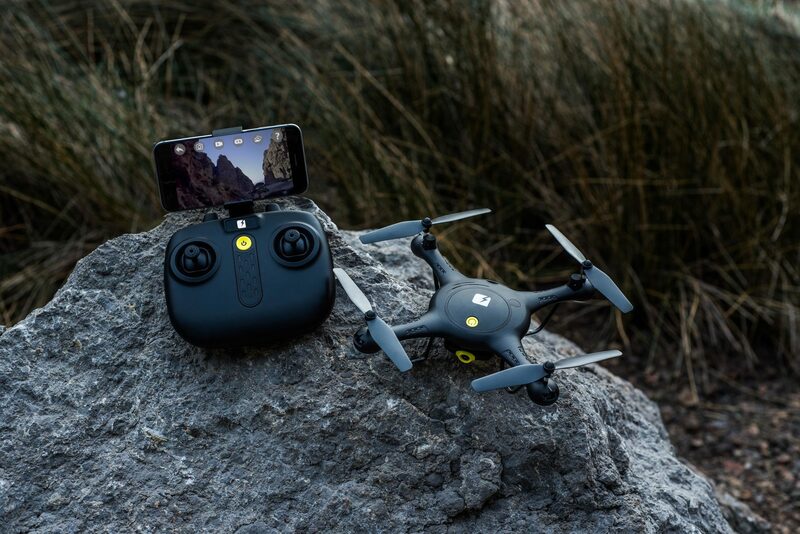 FADER has a built-in HD camera allowing you to capture amazing photos and videos of your adventures in the sky, or you can watch your adventures live on your smartphone. This drone can hold its altitude mid-flight making it easier to capture the footage or photo that you’re wanting. Included with the FADER is a controller that is designed with comfort and ease-of-use in mind. It’s outfitted with a mount for your smartphone so you can watch your live footage using the FADER app. So start your adventures in the sky with the FADER drone and start exploring the world like you’ve never seen it before.